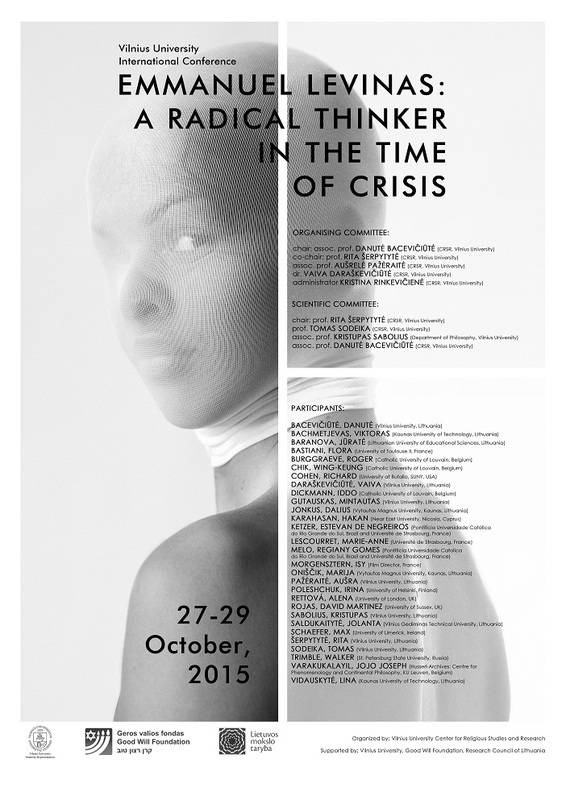 The conference “Emmanuel Levinas: a Radical Thinker in the Time of Crisis” (Vilnius, October 27-29) commemorates one of the most famous thinkers of the 20th century Emmanuel Levinas on 110th anniversary of his birth and 20th anniversary of his passing. Levinas deeply experienced the cataclysms of the past century, becoming one of the brightest intellectual figures of his time. The conference aims to bring together scholars from different disciplinary backgrounds involving philosophers, historians and specialists of cultural and religious studies to rediscover Levinas as a radical thinker in the time of crisis. The conference addresses a wide range of Levinas’s philosophy topics, with particular focus on their link to the challenges of contemporary world.